The Salesforce Ohana is built on the concept of kindness and acting selflessly and collaboratively. In Hawaiian culture, the word Ohana represents the idea that families whether blood-related or not, are bound together, and care for, protect and rally round eachother. Salesforce nurtures this culture fiercely within it’s own organisation and throughout the whole global ecosystem. It’s at the very core of the industry, and in everything we do. Therefore, today, Tuesday 13th November 2018 resonates for us as it’s World Kindness Day! In this article, we talk about the ways in which Salesforce professionals find ways of communicating kindness every day in their roles, as well as some other ideas that you may not have thought of. Are you planning to mark it in your organisation? If you are, we’d love to know how in a comment below, or Tweet us at @TalentHubGlobal. 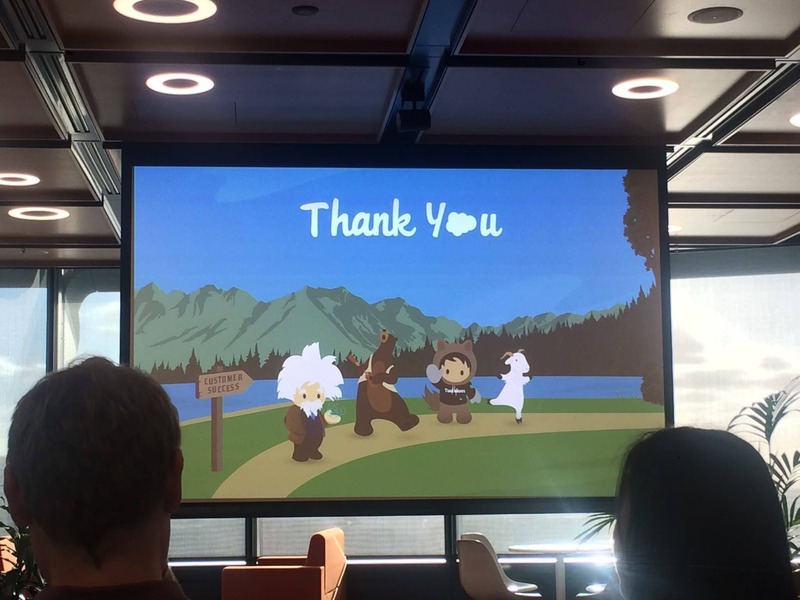 Salesforce set such a great example of doing this, and always thank the Community and everyone in it as part of their presentations. Gratitude for their continuing success is heartfelt. People generally enjoy saying or doing kind things for others, and tend to do it without expecting to be thanked for it. However, we all know how great it makes us feel when we ourselves, are recognized for our efforts. Research actually shows that being kind to others can make us feel genuinely happy by activating an area of the brain called the striatum, triggering the reward hormone. There are many great things that members of your local or even global Salesforce community are accomplishing. Has someone in your network proudly posted their most recent certification achievement? Congratulate them! Acknowledge and share their successes and build them up. This positive reinforcement and feeling like people care when you’ve done well is one of the things that makes the Salesforce Ohana feel so special. There are numerous ways to share your knowledge with other Salesforce professionals to help them to succeed. From writing post-conference articles on your personal or company blog, or LinkedIn article, to attending Community events and offering to speak. You have a story to tell and your own way, however big or small, to help others. Even if you are new to Salesforce, we’re confident that others could learn from you being kind enough to share your experience. Outside of a piece or a presentation, there are so many other places where you can share your contribution. Are you short on time? Jump into the #AskForce hashtag or the Stack Exchange and help someone out with a question they have there. You may well just make somebody’s day. This doesn’t have to be work related, although we all struggle at work sometimes, and are very grateful if someone notices and makes us feel heard. Having meaningful conversations is something we can do at any stage of our day, with strangers or friends, family and coleagues alike. You don’t need to have a solution, just be a great listener. If you notice someone who looks lost, don’t turn a blind eye. Start a conversation. 5. Be a good Ally. Take others on the journey with you, reach back and be a make people feel welcome. The next time you attend an event, ask your colleague or friend if they’d like to come with you. You can enjoy meeting each other’s connections, and share in the experience. 6. Be patient and respectful. Everyone has to start somewhere, and it’s humbling that those who are very senior in their career leave any idea of ego at the door. There is simply no division, only empowerment and support for those who are at the beginning of their journey. It’s an inclusive Community, where the word “hierarchy” is only a ‘lookup relationship’, not a status. 7. Make people feel welcome. Is someone new joining your team? Are you a manager who has a new starter joining? Make them feel welcome, and relieve any of those initial “where do I belong” thoughts which are natural when entering a new environment. Introduce them, announce their arrival so that people know what their role is and what their name is, show them around. Assign them a buddy or a mentor to give them an immediate sense of belonging, and be kind and empathetic to how they may be feeling when everybody already each other so well. 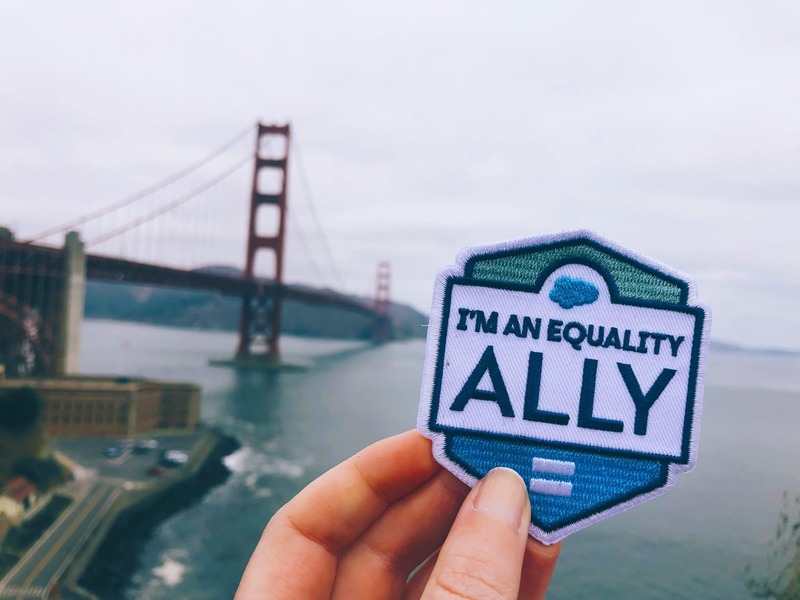 Salesforce incorporates the 1-1-1 Pledge into it’s purpose beyond profit, where they commit 1% of its equity, employees’ time, and product to nonprofit work. You can get involved by volunteering your Salesforce skills, or in any other way can to help others less fortunate. Online, in person, be friendly, be kind. It’s a Community where true friendships are made without the need to actually even meet in person necessarily. And if you do ever get the opportunity, at perhaps a Community event, then get together, and your experience just improved ten-fold! Lastly and most simply, a key theory in neuroscience says that witnessing someone else show an emotion automatically activates the same areas of the brain as if we experienced that emotion for ourselves. Positivity really is contagious! Even the simplest thing as a smile. 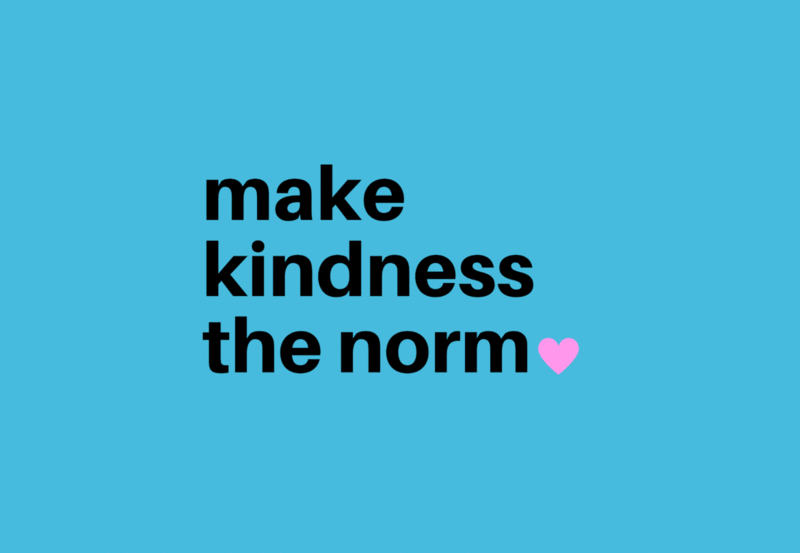 Whether you’re working in the Salesforce ecosystem or not, you can get involved by incorporating any of these suggestions into your day, and get involved on social media by using the hashtag, #WorldKindnessDay and #MakeKindnessTheNorm. Check out the World Kindness Day website. If you are marking “World Kindness Day” today Tuesday 13 November 2018, do let us know how and spread the love! At Talent Hub, we assist Salesforce professionals to find their dream job, and you can see some of the Salesforce roles we are currently recruiting for currently here, and in the spirit of kindness, we’re giving away a trip to Dreamforce in San Francisco this year, make sure you find out how to WIN!